Last summer, when I was having abdominal issues that are now thought to be related to a hernia from torn surgical scar tissue, I figured rigorous abdominal exercise was off the table for a long time. I was right. Activities such as pilates, carrying heavy items, running, and even walking too far were painful and exhausting. In the fall and winter, I started taking my dogs for long walks out of necessity when we’d moved and had no enclosed yard. I had a little weariness in my joints and muscles toward the end, but I was also taking them for hour-long walks in 23F/-5C temperatures several times a week and not eating enough. At the beginning of this year, I bought a house that had an enclosed pen, and ever since then, I’ve taken the dogs on zero planned walks (does chasing down a dog in the rain at 11 on a Sunday night really count as a walk? I can’t find that activity anywhere on MapMyRun) and took myself on one long walk before the weather started going all wonky. Seriously, snow during the first week of April? 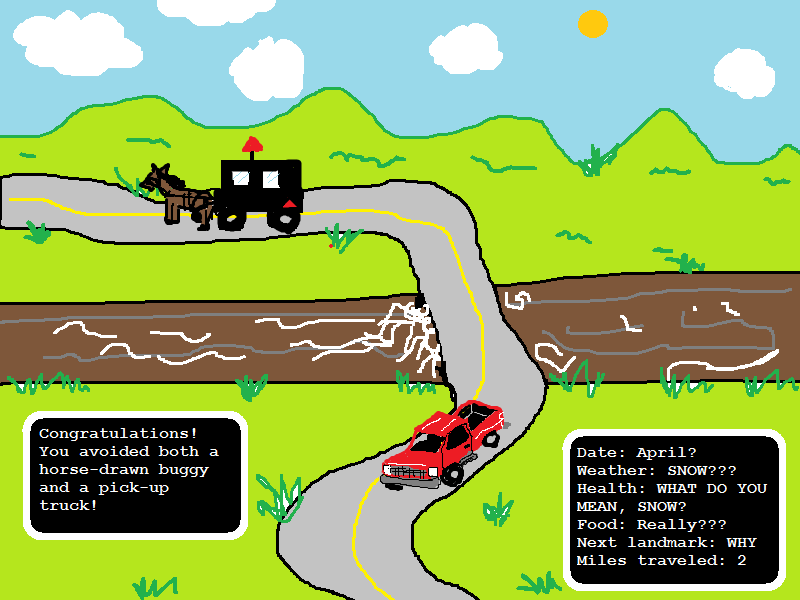 As a Kentuckian, I have only seen such things before while playing Oregon Trail. Congratulations, weather. I have died of ridiculousness. I took several months off from physical activity of any kind at the beginning of this calendar year when I was working 65-plus hour weeks. My job has slowed down quite a bit, but I haven’t ramped up my activity. One-and-a-half pilates workouts in a week’s time do not a ramping make. But if I can make it several sessions a week, I’ll count that as a re-engagement in physical activity. A chirpy host was leading a pilates workout I stumbled across on one of my long mornings last week, and I figured I might as well make the most of this easily accessible workout, since I’m paying out the wazoo for satellite service anyway and had nowhere to be for an hour and a half. I’m old hat at this stuff, so it should have been easy. But I sometimes forget that when you haven’t worked out in a while, your body’s not as flexible or as strong as it once was. Roll-ups were once so easy; surprise crunches, now saturated with disappointment and with an odor of failure, were all I could manage. I regretted the side kick series toward the end of the first leg’s workout. And let’s not bring up the modifications I had to do. With wrists that require braces and special keyboards, a knee that has worn a brace during most workouts over the last 8 years, ankles I bought hiking boots to support, and a shoulder that sent me to physical therapy, there were some exercises I just could not do. Thread the Needle was off the table. Anything related to planks and push-ups had to be done with bent knees and a small towel supporting my weak left knee. Sometimes, it feels useless to even pretend to try those exercises, for the net good they would do my body. In fact, several years ago, I made .mp3 files out of my favorite pilates routine so I could listen to them on my phone and exercise anywhere, and while making the files, I specifically edited out any exercises that were beyond my physical limitations. Everything that I could physically do, I did, or at least tried. I remembered to bring in my weightlifting gloves for my next session to make working out a little easier on my wrists. And I have the little towel on standby, ready to cushion my long-suffering knee when I have to put any weight on it. As I was driving home from work the day of my second workout, I felt a little abdominal pain. But it was a good pain. It was the sting of aching muscles complaining that they haven’t been used in a while. It felt very different from the sharp stab and lingering nausea that indicate something is physically wrong, and that you should probably skip eating for the next month. I was happy to be able to hurt that way again. This entry was posted in fitness, health, pilates and tagged cartoon, Exercise, fitness, habit, health, injury, physical therapy. Bookmark the permalink.